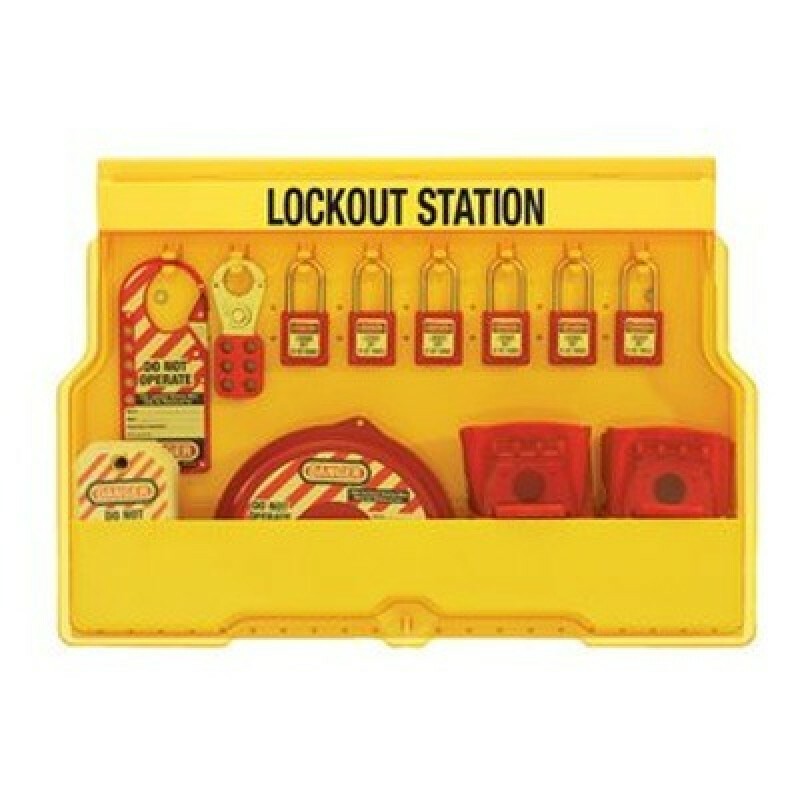 This Valve Lockout Station is designed to hold padlocks, hasps and other lockout tagout devices. Durable construction provides years of use in corrosive environments. 8 Hanger clips hold 2 padlocks or lockout hasps each. Top and bottom compartments include 5 moveable dividers to keep your equipment organized. Holes provided inside and along bottom offer optional peghook hanger clips. Station cover protects padlocks and devices from dust and grime. 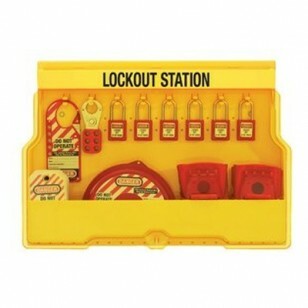 Lockable station limits access to authorized employees with a combination padlock. 1 each 480 Gate Valve for 1"- 3" dia. 1 each 481 Gate Valve for 2"- 5" dia. 1 each 482 Gate Valve for 4"- 6.5" dia.